“Holiday Objects Up and Down will open with two special events: an early morning shoppers’ extravaganza featuring special discounts for our members; and a spectacular opening reception, with an exclusive silent auction of a few special artist donated items. Both events take place on Saturday, November 22. The shopper’s preview will run from 9am – 12pm. The reception and silent auction will take place from 7pm – 10pm. All items will be cash and carry. 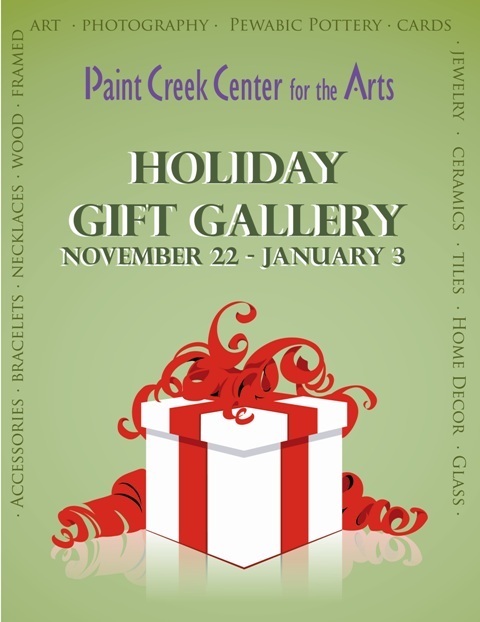 Proceeds from the silent auction will provide support for PCCA’s exhibition program.